LOST KEY CHARGE: A $100.00 fee will be charged for loss of room keys. Adventure Hotel ...or more specifically: A historic hotel, live music venue, bar & cafe in charming Silverton, Colorado. Elevation 9,318 ft.
WE HAD OUR SOFT OPENING on 7/2/18. CURRENTLY, ALL OF OUR HOTEL ROOMS ARE COMPLETED AS WELL AS THE MAIN FLOOR LOBBY/BAR. THE REST OF THE BUILDING IS STILL UNDER RENOVATION. GRAND RE-OPENING SOMETIME IN OCTOBER/NOVEMBER -- ALL AMENITIES WILL THEN BE COMPLETED INCLUDING LIVE MUSIC VENUE, MOVIE THEATER AND BEER GARDEN. The iconic Avon Hotel is being brought back to life! Built as a store and boarding house for miners in 1904, The Avon was constructed with character and charm. In the late 70's, The Avon was renovated to be a hotel, live music venue, bar & restaurant. 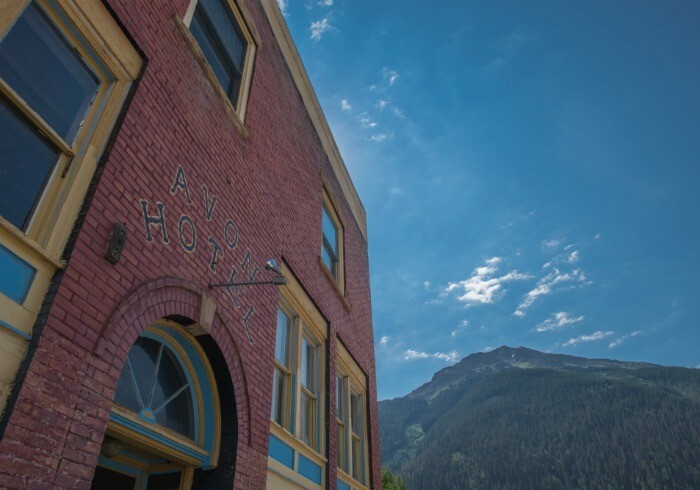 For around 15 years, The Avon was the place to be in Silverton for entertainment and lodging. During that time, the live music and overall experience of The Avon Hotel provided a special experience for many adventurous souls. For the last 25 years, The Avon has been mostly dormant. We obtained the building on 8/21/2017 with a vision of honoring the rich history of the town and of the building. This includes keeping all of the unique and creative 1904 and late 70's charm. We are simply updating what needs to be updated and adding modern comforts. We are doing a certified historical rehabilitation. The newly renovated building includes all new bathrooms, flooring, paint, beds, linens, etc. We have rooms ranging from bunk beds to suites with majestic views. Our vision also includes an updated live music venue, a movie theater, a beer garden, updated bars, free wifi, a wood stove, a cafe, and plenty of historic ambiance. We intend to give adventurers, travelers, musicians and artists a home base in Silverton. The surrounding areas are beyond comparison in terms of beauty. We are encouraging people to come to Silverton and enjoy the character of the town and the majesty of the surrounding wilderness. 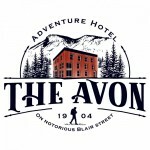 The Avon can provide lodging and entertainment for all that seek this experience. We hope that our unique vision will be as unforgettable as the town and mountains around it. We look forward to meeting you! Don't forget to bring your dog!